Use these tips to use less soil in your planting containers. We all have those x-large outdoor pots that need to be filled with soil for holding beautiful flower arrangements, herbs and produce. 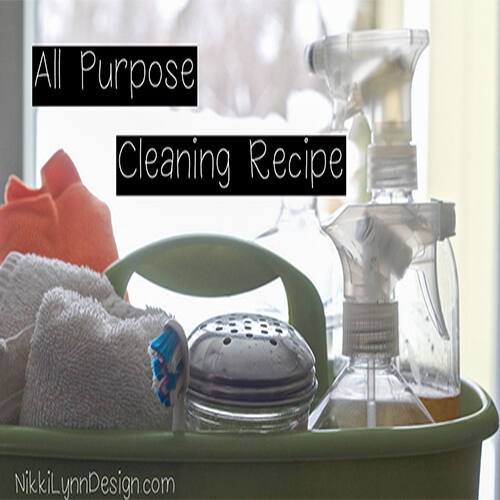 Over the years I have used several items to serve this purpose. Some were excellent choices and some, poor choices. 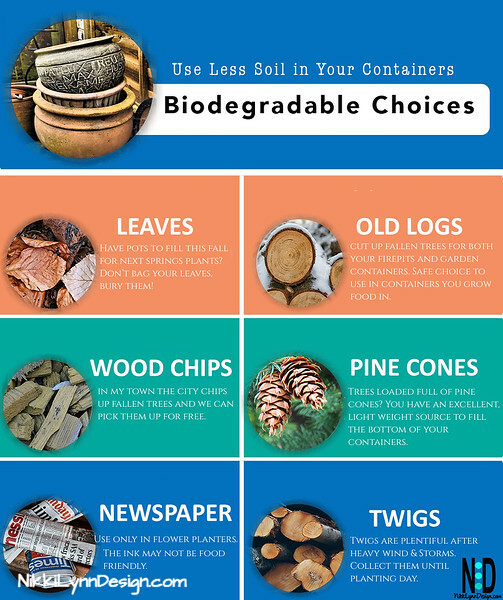 If you are looking for ideas to line the bottom of your containers that will break down over time and can be added to a compost pile at the end of the season, chose one of the six biodegradable options below. All of the choices except for the newspaper I would suggest for both vegetable and flower plantings. I prefer not to use the colored newspaper inserts for anything that contains food. • Most packing peanuts are made from petroleum oils so I don’t suggest that you use them in any container that has food items. 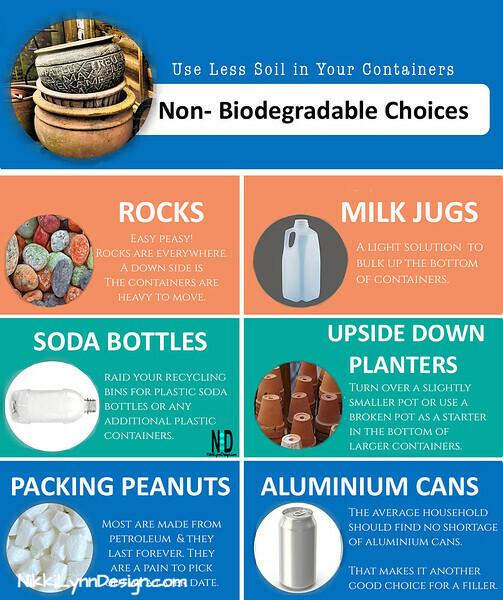 • There are some packing peanuts that breakdown if you run them under water. Test yours to see if they do. 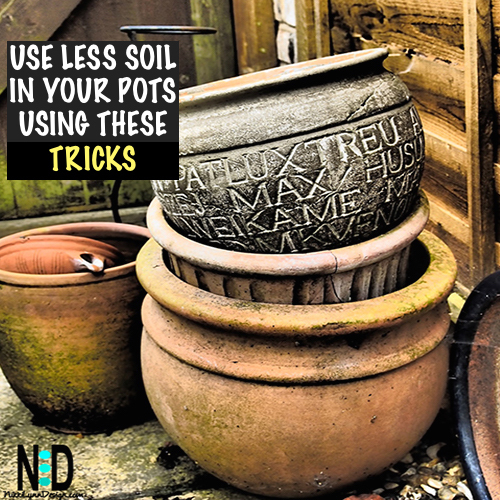 • Place an old screen in the bottom of pot first before adding a filler to keep the dirt from going right out of the holes. By using the tips above you can save yourself some money and use less soil in your planting containers and also some back-breaking labor when moving around your potted plants. Happy gardening to you!